The JY-170/I is a female TPE love doll by JY Doll. Her body size is about 170 cm (66.92", with head) respectively 150 cm (59", height without head), and she weights ca. 34 kg (74.9lbs, manufacturer specs). The JY-170/I body style is currently the tallest love doll by JY Doll. Body measurements: 92 cm (36.22") × 50 cm (19.68") × 92 cm (36.22") (B×W×H) / 63 cm (24.8", under bust) / 32 cm (12.58", shoulder) / 66 cm (25.98", arms) / 90 cm (35.43", legs) / 23 cm (9", foot). The JY-168 is a female TPE love doll by JY Doll. Her body size is about 168 cm (without head: ca. 149), and she weights ca. 32 kg (according to the manufacturer's specifications). The JY-168 body style is currently the tallest love doll by JY Doll. Body measurements: 78 cm × 56 cm × 84 cm (B×W×H). 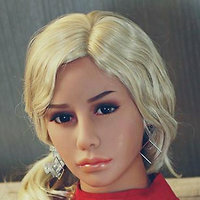 The JY-168/87 is a female TPE love doll by JY Doll. Her body size is about 168 cm (without head: ca. 149), and she weights ca. 33 kg (manufacturer specs). The JY-168/BB body style is currently one of the tallest love dolls by JY Doll. Body measurements: 87 cm × 50 cm × 87 cm (B×W×H). The JY-167 is a female TPE love doll by JY Doll. Her body size is about 167 cm, and she weights ca. 29.5 kg (manufacturer's specs). The JY-167 body style is currently one of the tallest love dolls by JY Doll. Body measurements: 78 × 49 × 76 cm (B×W×H). The JY-166/G is a muscular life-sized female TPE love doll by JY Doll. Her body size is about 166 cm (with head) respectively 146 cm (without head); she weights ca. 32 kg (according to the manufacturer's specifications). Body measurements: 92 cm × 59 cm × 85 cm (B×W×H). The JY-166/D is a life-sized and chubby female TPE love doll by JY Doll. Her body size is about 166 cm (5ft4", with head) and she weights ca. 60.5 kg (132.3lbs, manufacturer specs). Body measurements: 102 cm (40,1") × 79 cm (31,1") × 117 cm (46", B×W×H) / 84 cm (33,1", under bust) / 22 cm (8,3", foot length). Head No. 1 (Aiersha Nr. 1) is a female head by JY Doll. The head is made of TPE. Head no. 2 aka Vanessa (凡妮莎, Aiersha no. 62) is a female head by JY Doll. The head is made of TPE. Head no. 3 aka Marlene (大嘴妹, Aiersha no. 23) is a female head by JY Doll. The head is made of TPE. Head no. 4 (Aiersha no. 4) is a female head by JY Doll. The head is made of TPE. Head no. 5 (Aiersha no. 5) is a female head by JY Doll. The head is made of TPE. Head no. 6 aka Vanessa (凡妮莎, Aiersha no. 62) is a female head by JY Doll. The head is made of TPE. Head no. 7 (Aiersha no. 7) is a female head by JY Doll. The head is made of TPE. Head no. 8 (Aiersha no. 8) is a female head by JY Doll. The head is made of TPE. Head no. 9 (Aiersha no. 9) is a female head by JY Doll. The head is made of TPE. Head No. 10 (Aiersha no. 10 or no. 62) is a female head by JY Doll. The head is made of TPE. Die Perücke 1 passt zu den TPE-Köpfen von JY Doll. Die Perücke 2 passt zu den TPE-Köpfen von JY Doll. Die Perücke 3 passt zu den TPE-Köpfen von JY Doll. Die Perücke 4 passt zu den TPE-Köpfen von JY Doll. Die Perücke 5 passt zu den TPE-Köpfen von JY Doll. Die Perücke 6 passt zu den TPE-Köpfen von JY Doll. Die Perücke 7 passt zu den TPE-Köpfen von JY Doll. Die Perücke 8 passt zu den TPE-Köpfen von JY Doll. Die Perücke 9 passt zu den TPE-Köpfen von JY Doll. Die Perücke 10 passt zu den TPE-Köpfen von JY Doll.